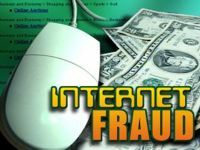 Internet Fraud in South Africa – A CaravanParks.com Warning! 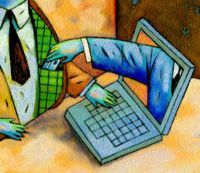 Criminals are getting smarter, the Internet has opened new possibilities for them to scam you out of your money. We thought this information would be useful. PLEASE READ!! It is for you as the consumer to stay vigilant before making any commitment or payments of products off the Internet. CaravanParks.com provides a few simple steps to assist you and your family to feel confident before making any rushed payments for products. This does not mean that if you follow these simple steps you are now completely free from all criminal activities, but at least provides a few guidelines to assist. CaravanParks.com – Southern Africa’s Caravan & Camping Tourism Network has been relatively free from fraudulent items offered via our comprehensive classifieds section. After a recent television documentary on either Carte Blanche or Special Assignment, along with a suspicious well priced Gypsey Blue Caravan and 2006 Jurgens Classique for R30000 advertised on CaravanParks.com, we took this initiative to provide the following simple information to assist our members in not being scammed out of money while enjoying CaravanParks.com and our related services. Think before you transfer any of your personal information over to the seller. Including banking details or money before you have done some homework on who you are dealing with, you are now living in Africa remember. A scam is when they ask you to put money in an account before you see the product. 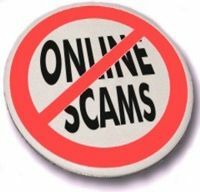 A recent real example was a scam using a bank account in the UK, a so called lady that was just divorced and originally from South Africa, she was now living in the UK needing to sell a caravan urgently, the scam would never let you talk to them on the phone line, the e-mail said you can use an e-Bay money transfer system, with a 10 day money back facility, etc. Never just assume that the seller is to be trusted because you are using a trusted website like CaravanParks.com. Just because you are a happy camper, it does not mean they are happy campers too. Criminals also camp, that’s why your tent pegs are gone in the morning! Never just rely on e-mail to communicate prior to a purchase. Also look at the actual e-mail address for traceability. If it is an e-mail address that you can never trace e.g. : name@gmail.com, name@webmail.com, name@yahoo.com, name@live.com and many others like this, stay vigilant. 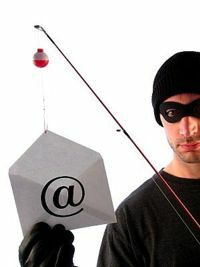 These e-mail addresses are free to register from any where in the world and are always used by criminals. They are completely non-traceable. If they use a business email address like name@trans-net.com make sure that this is not a bogus email address that looks like a real company e-mail address. For example, our example of name@trans-net.com is not the Transnet company you are thinking about. This how quickly you are tricked in feeling confident in an e-mail address. You can place www.trans-net.com in your internet browser to visit the website for more information. Then look for a contact number on the website and also phone them to confirm employment of this person at the company if needed. Always phone the person, you must talk to the seller. If they do not provide a phone number on the advert because they do not wish to take many phone calls at first, this is fine. But when you are interested in paying money over to them and they still do not provide you a contact number to talk to them personally, then you better start thinking why. Always ask silly questions about the product, yes silly ones. This would build your own knowledge about the product and the person you are dealing with. This provides you with confidence that they do actual have the product for sale and that this is not a scam. Ask them how they have enjoyed the product before you buy it. This gives you some details on who they are and if they have even used the product before you intend to buy it. You will be surprised what criminals are doing these days, they are professional, they look the part, they talk the part and even portray a feeling of safety and security towards you the buyer. It is your right to ask them some non-product related questions, for example, use our industry and your own knowledge of the industry as a "soft base" to work from. Ask them where they have camped before, how long have they been camping for, who they used to camp with, etc. Ask them to name some of their favorite resorts they have visited in the past. This builds your own confidence in the seller and also makes it more difficult for these criminals to get away with a quick scam without extra knowledge about our camping industry. Ask them why they are selling the product, what are they buying as a replacement model, etc. All these questions help to build your knowledge and a personal feeling about the seller. It is important to listen to how they “build or bend” the truth when answering each one of your questions. I have always been one to “speak with my ears” and "body language" or in this case, a telephonic conversation must be "FEEL CORRECT". If you can feel it, and you can see it, then the only thing left is to do it! Be open at then end of the conversation, explain to the now genuine seller that you had to test their status first, let them know that you now all about Internet fraud, let them know that you had to ask these many questions to feel confident before you commit to this sale. Also tell them that they should use these same steps for themselves before they need to purchase something off the Internet, news paper, etc. for that matter. If the product is in Cape Town and you are in Pretoria you need to take into consideration that criminals love the idea that you are not able to view the product before you pay the money over to them, they also rush you to commit. So even if you DO NOT have a friend in Cape Town, tell the seller you are thinking about sending a friend to view the product before you pay the money over. Ask them for an address where the product is located, get a GPS co-ordinate if possible, then use Google Earth to see where the seller is located. This would indicate some clarity and again a feeling of openness from the seller. If possible send a friend first before you pay any money across. A great idea from CaravanParks.com is to get someone to view the product before you pay for it. In some cases you can use a third party company to make the transaction possible or just to provide a basic inspection on the product. We would recommend one of the Jurgens / CAMPWORLD dealers in the area where the product is located. Most CAMPWORLD dealers are more than happy to assist you in your own private sale. They may charge you a small fee to do a basic inspection of the product, but at least this fee safeguards your investment. Especially if it is going to be a large investment totaling a few thousand Rands for a caravan for example. They could even quote you for any visible repairs, provide you a better understanding on any damage, wood rot, or electrical problems going forward. Compare the selling price with similar models on CaravanParks.com. This would allow you to understand what you are buying. We have noticed over the last few years that criminals love making you excited over a "too good to be true offer". When you get all excited about a great deal, this is the moment your brain switches off, ignores all the warning signs and you go into the “I want this product, I must have this product now!” -mode. If something is too good to be true, then it is not true. Only when you have made the fifth attempted phone call to confirm all your delivery details with no or little reply from the seller, does your brain shift into the “Oh SH#!T mode”. But if you do your homework properly and follow a few easy thoughtful steps, your purchase will be successful and you will be off on holiday before you know it. Never feel like an idiot when you ask loads of questions to a seller. Because you will fell like an idiot when you start asking yourself all the questions like, why did I put the money into his bank account so quickly before double checking who he is. Please note that we have not covered all the bases here. We also wish to point out that most of the CaravanParks.com Classifieds are going to legitimate ones. So handle them with care, do not be pushy when doing your investigations on the seller. We have some "REAL" people out there that may be a bit offended when doing a background check on them. Explain to them that you are just being cautious and they must please understand your buying process. Please use the below provided CaravanParks.com Feed Back Form to send us more hints and tips to share with everyone. Thank you for your support & stay safe. CaravanParks.com – Southern Africa’s Caravan & Camping Tourism Network.